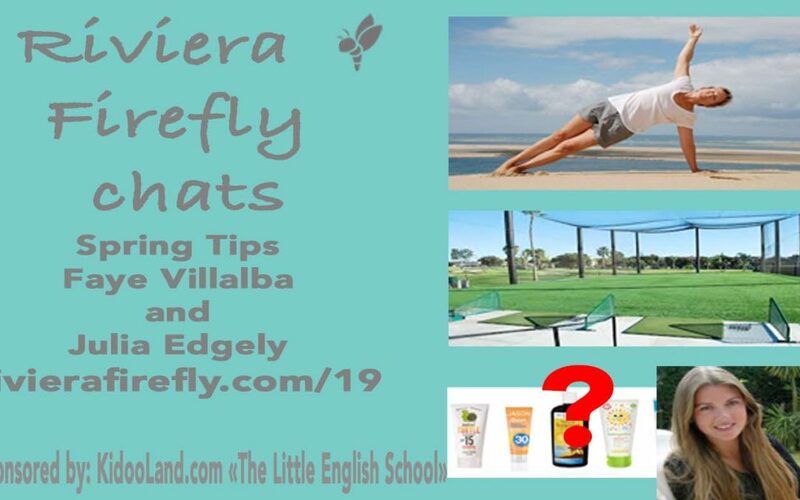 Welcome to the Riviera Firefly Top Tips for Spring. With special guests Faye Villalba and Julia Edgely. A special Firefly promotion and a free download. What’s not to like! Promotion for Faye’s Yoga Classes Tuesday and Thursdays 13h45-15h from 30th May ? 5 sessions for 60 euros save 15 euros mention Riviera Firefly. · Julia Edgeley was also interviewed in Episdoe 5 .. I was just learning about technology and we did have some hiccups so I was thrilled when Julia agreed to record more content with me . Up next is the first of a series of clips that I will be sharing with you over the next couple of weeks ..this weeks topic is sunscreen. Homeopath.fr redirects to http://www.vie4vitality.com/ Julia is going to be running her last Baby massage workshop for parents with babies under 12 months.